We are glad to inform you that we are celebrating this festive season by giving maximum discounts and freebies to our members under our ongoing Saral Gyan Holi Dhamaka Offer 2019, this is a limited period offer and closes on 31st March'19 at 11.59 PM. During past 8 years, we launched suitable services to help Investors to create wealth by investing in Indian stock market. Its appreciation and support of our readers that one of our most admired service - Hidden Gems ranks on top not only in performance but also on Google search engine. Try it out yourself by searching "Unexplored Multibaggers" or "Hidden Gems Multibaggers" on Google, you will find our website www.saralgyan.in featuring on top in search results. Its your appreciation and word of mouth publicity which make our website featuring on 1st position in Google. 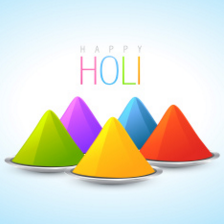 Festival of Colours - Holi is just a day away and to cherish Holi celebrations with our readers, we decided to pass on the maximum benefits by offering great savings and valuable freebies under Saral Gyan Holi Dhamaka Offer 2019. We suggest our members to consider current situation (post severe correction in small & mid caps over last 15 months) as a buying opportunity and invest in high quality small and mid cap stocks. We also take this as an opportunity to share the returns on investment given by one of our most admired service Hidden Gems during last 8 years. 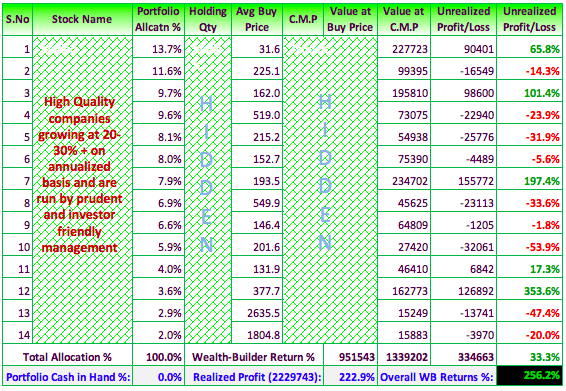 Hidden Gems (Unexplored Multibagger Small Cap Stocks) continue to shine giving average returns of whopping 148.3% to our Hidden Gems subscribers compared to 58.4% returns of small cap index during last 8 years. Hurry! Offer is for limited period and closes on 31st March'19 at 11.59 pm. Click here for details.